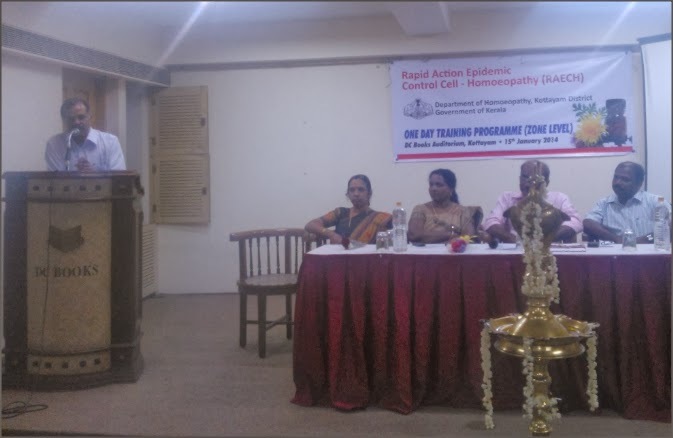 The function was presided by the Deputy director of Homoepathy, the DMOs from Pathanamthitta, Ernakulam, and Kottayam. The Govt of Kerala sanctioned the Project of Rapid Action Epidemic Control Cell Homoeopathy (RAECH), Kerala, as per GO(Rt) No: 2543/04/H & FWD dated 07/09/2004. This cell was inaugurated on 15.12.2004. Epidemic Control Measures are being initiated under the supervision of RAECH by distributing preventive medicines, conducting medical camps, health awareness programmes and seminars throughout the State, wherever epidemics break out. The activities of RAECH are accomplished every year successfully with the plan fund allotted for this project.